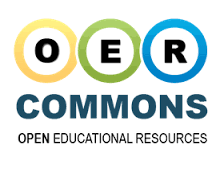 "OER Commons is a dynamic digital content hub, offering a suite of OER implementation supports." MERLOT is a curated collection of free and open online teaching, learning, and faculty development services contributed and used by an international education community. It is a product of the California State University System partnering with education institutions, professional societies, and industry. Updated posting, a great guide to resources for getting started, organized with many links! A digital library of sharable undergraduate teaching materials for chemistry, biology, physics, mathematics, and computer science. Created by the National Science Digital Library, iLumina is designed to quickly and accurately connect users with the educational resources they need. These resources range in type from highly granular objects such as individual images and video clips to entire courses. Page identifying different OERs, mostly instructional units or objects, within Rice University's openstax course on OER. Multiple institutional sponsors, hosted by University of Minnesota - Twin Cities. "This library is a tool to help instructors find affordable, quality textbook solutions. All textbooks in this library are complete and openly licensed." UMKC is a member of the Open Textbook Network (OTN), which supports the Open Textbook Library, through MOBIUS. While the College Open Textbook Collaborative focuses on providing textbooks for Community Colleges, many of the resources they have peer-reviewed would be usable for lower-division undergraduate coursework. A resource for open digital textbooks across a wide variety of disciplines. The "largest multidisciplinary open access publisher of books covering the fields of Science, Technology and Medicine." As of this writing, includes 2420 books and 6 journals. A free publication service by the Association of American Medical Colleges (AAMC) and the American Dental Education Association (ADEA) of peer-reviewed medical education materials. Licensed under Creative Commons open licenses. "Wikibooks is a Wikimedia project for collaboratively writing open-content textbooks" being developed in a similar process to how Wikipedia was developed. Includes many formats, including video, audio, image, and text resources. Portal to open course materials and video lectures from many prominent colleges and universities. American Memory provides free and open access to written and spoken words, sound recordings, still and moving images, prints, maps, and sheet music that document the American experience. This digital record of American history and creativity, from the collections of the Library of Congress and other institutions, chronicle historical events, people, places, and ideas that continue to shape America. Contains award-winning multimedia resources, including apps, animations, videos, interactives, and virtual labs, focused on brining the excitement of scientific discovery into the classroom. They can be used in a flipped, blended, or traditional classroom. COERLL's mission is to produce and disseminate OER such as online language courses, reference grammars, assessment tools, corpora, etc. Site currently has OER for 17 languages including Arabic, English, Chinese, French, German, and Spanish. The ChemCollective is a collection of virtual labs, scenario-based learning activities, tutorials, and concept tests. Teachers can use our content for pre-labs, for alternatives to textbook homework, and for in-class activities for individuals or teams. Students can review and learn chemistry concepts using our virtual labs, simulations, and tutorials. Primarily first- and second-year college/university resources. The Encyclopedia of Life brings together information about all life on Earth—one web page for each specie(>1.9 million species pages). Included are text, images, video, sounds, maps, classifications, etc., all freely available online. Provides a video archive of interviews with over 20 leading researchers in the field, along with a set of demonstrations. All videos and demonstrations are freely accessible. By signing up (no cost, just provide e-mail) a user can get access to members-only materials that may be helpful as well. Well-known source of high quality, freely accessbile practice exercises and instructional videos. Subject coverage includes math, science, computer programming, history, art history, economics, and more. "The Open Education Consortium is a worldwide community of hundreds of higher education institutions and associated organizations committed to advancing open education and its impact on global education. We envision a world where everyone, everywhere has access to the education they need to build their futures." TED-Ed is TED’s youth and education initiative. TED-Ed’s mission is to spark and celebrate the ideas of teachers and students around the world. TED-Ed Originals are short animated videos about ideas that spark the curiosity of learners. These original animated videos, paired with questions and resources, make up what are called TED-Ed Lessons.